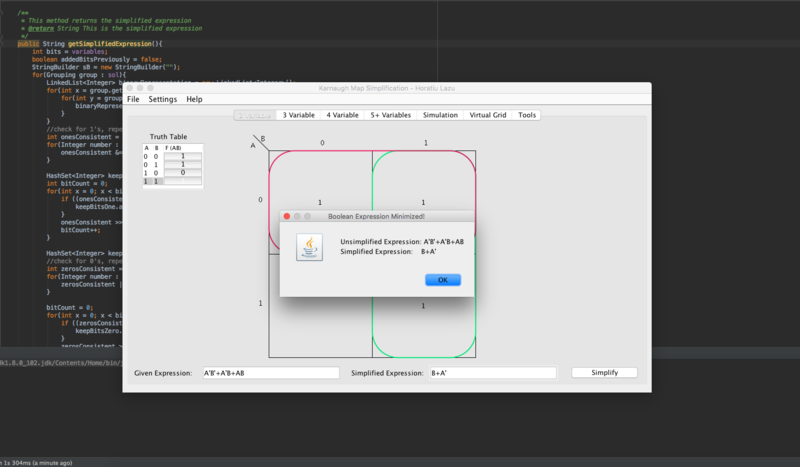 The purpose of this program is to simplify boolean algebra expressions. 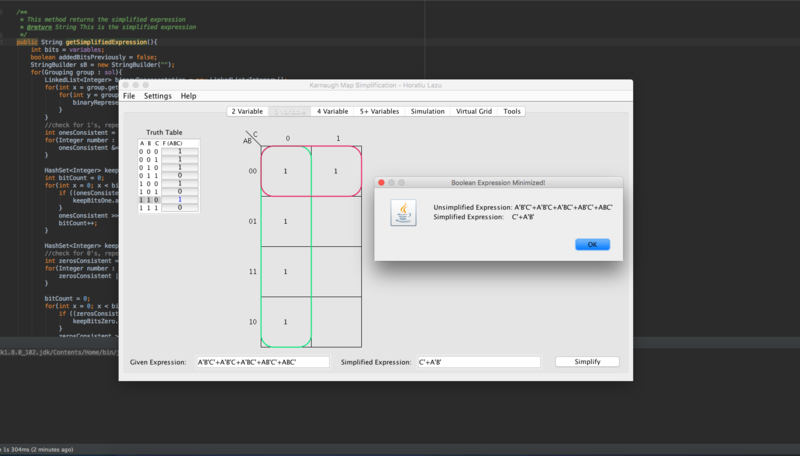 The software makes use of Karnaugh Maps, which are a grid labelled with grey codes (reflected binary values), with the potential of be used to find patterns leading to variable simplification. For source code and download, click here. You can download the latest development build on the GitHub page here. You can either download the source code as a .zip or you can do git clone [address]. 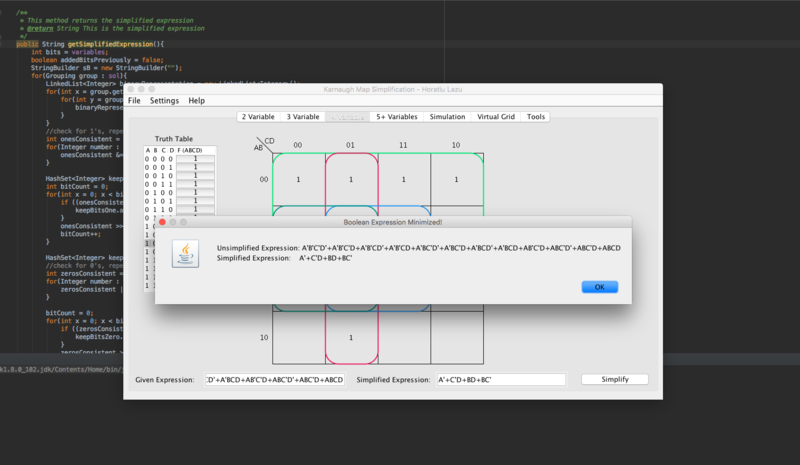 Afterwards, open up the code and run KarnaughMapRenderer.java with java KarnaughMapRenderer.java. If it does not work, you should compile all the files with javac.